Saoirse asked to be rescued. She was found in Clare Hall lying in a pile of dirty bedding that her finder had used when trapping a colony earlier that day (and had left them outside until they could be washed). Saoirse was extremely thin and starving, to the point where we initially thought she was a kitten. 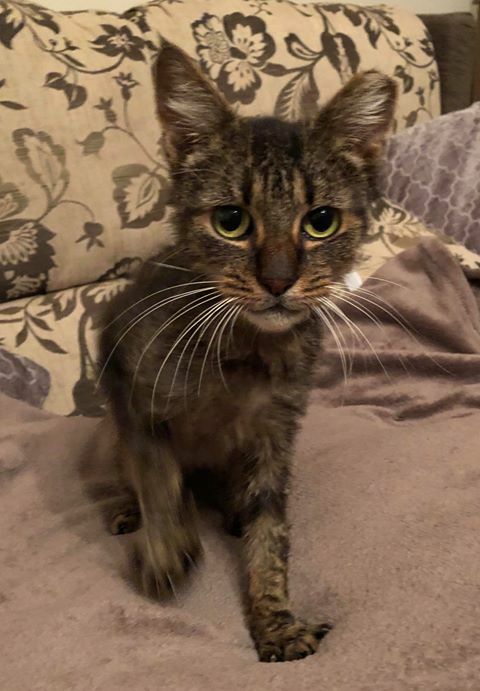 She had a severe flea allergy that caused her to lose some of her fur. Despite all of this, shortly after being rescued Saoirse was chirping and begging for attention and rubs. 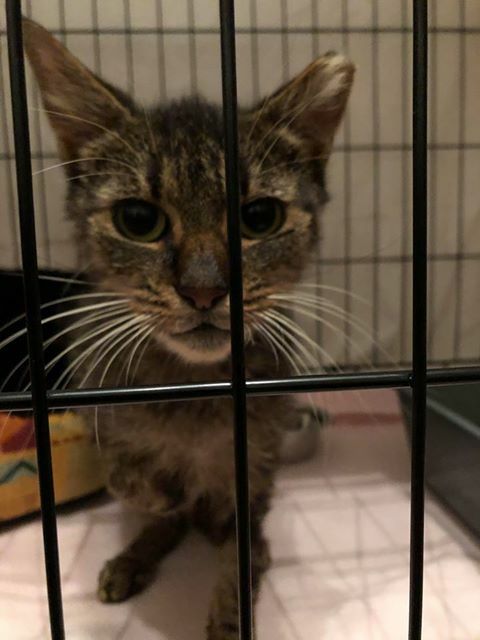 The biggest surprise to everyone was the fact the she is eartipped, which means she would have been trapped, spayed and released as part of a TNR effort! Saoirse is far from feral. We do not think she has lived indoors before, but she is adapting quickly and has already figured out how to use her litter box. She is a little dote and all she wants to be is loved. She loves to be rubbed, purr and chirp. Saoirse has had limited access to her foster mam’s other kitties, but appears to want to be friendly with them, and they to her. She absolutely loves her food and wolfs it down. Saoirse deserves a loving, warm home and someone to give her a chance. She has been health checked and treated by Raheny Veterinary Clinic. Her skin condition is improving already and will resolve in time. Reduced cost vaccinations and microchipping available. 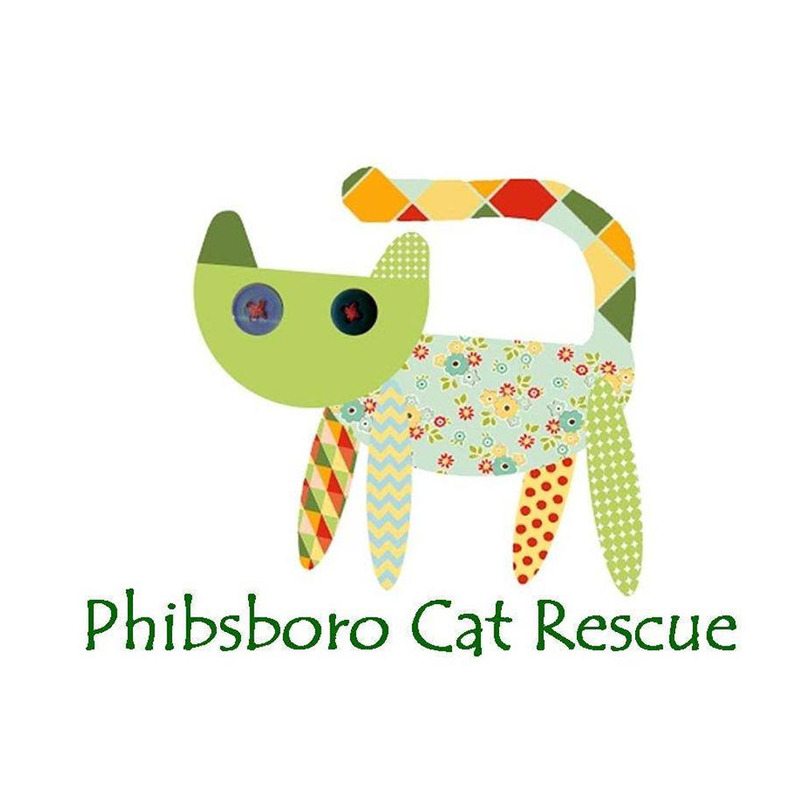 Contact Phibsboro Cat Rescue about Saoirse.